With the launch of China Global Television Network (CGTN) on December 31, 2016, a new international satellite news channel entered the crowded global news market. CGTN consists of six channels in five languages, including a 24-hour English-language news service and a documentary channel, with a strong focus on delivering across multiple platforms what it describes as ‘neutral, objective reporting’, and promising to ‘create a better understanding of international events across the world, bridging continents and bringing a more balanced view to global news reporting’. The adage ‘something old, something new’ certainly comes to mind with CGTN. Its 13 news anchors come from ten countries, and it brings some distinctive features to global news coverage, notably a greater focus on Africa than the BBC, CNN and other Asian satellite TV news channels, with a studio in Nairobi as well as more obvious locations such as London and Washington. But it also has the unmistakable sense of being part of the CCTV news empire. Indeed, CGTN is the latest rebranding of CCTV’s international news service, after its previous incarnations as CCTV-9 and CCTV International. 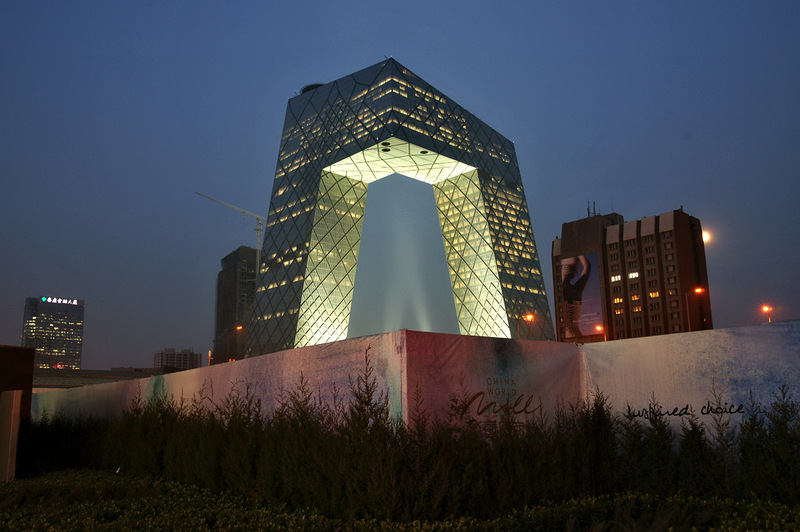 Perhaps not surprisingly, its headquarters are in CCTV’s iconic building in the Chaoyang District in Beijing. Chinese leaders have long been of the view that the nation lacks global influence in the cultural and information spheres commensurate with its standing as a rising economic power. 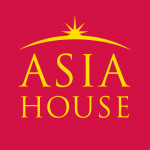 To this end, a variety of ‘soft power’ strategies have been pursued, which range from funding its flagship news organizations to build their international operations, to the spread of Confucius Institutes at university campuses around the world, to co-investing with Hollywood studios in films as diverse as Furious 7, Kung Fu Panda 3 and The Great Wall. Whether any of these initiatives work depends upon who you ask. Certainly CCTV International used to claim to have a potential reach in the hundreds of millions. But closer inspection of audience figures suggested that its TV viewership – which was in practice estimated at about 50 million – largely consisted of the Chinese diaspora and Chinese nationals viewing its programs within China, possibly to improve their English language. There is little evidence that it had in any way challenged the big players such as BBC World or CNN as the broadcaster of choice for those seeking a global perspective on the news. CGTN appears to have been established with an awareness that CCTV possesses a brand identity problem internationally. It has long struggled to avoid the perception that it is the propaganda arm of the Chinese party-state, and that its reporters lack independence and autonomy in how they report on world events. At the same time, it has lacked the flamboyance of a service such as Russia Today (now RT), which has at various times recruited Western presenters as diverse as Larry King, Julian Assange, George Galloway and Ron Paul, while providing a regular platform for a spectrum of critics of Western globalism, from Nigel Farage to Jill Stein and Chris Hedges. Whereas Vladimir Putin has been fairly frank in describing RT as being engaged in ‘information warfare’ with the West, the CCTV services have struggled to appear as anything other than less compelling versions of the big Western news services. Given the importance of China in the world, there is great value in having ready access to a leading Chinese news agency with up-to-the-minute professionally produced content. It is also important, in what CGTN terms a ‘multipolar world’ to have access to channels that differ from the dominant Anglo-American hegemony over global news. Reporting on the Iraq War made these lessons readily apparent. Whether CGTN can break the current position of Chinese news services sitting in a relatively marginal niche position in the global news hierarchy, and whether it will gain the credibility that has eluded the international ventures of CCTV thus far, remains very much to be seen. Terry Flew is Professor of Media and Communication at the Queensland University of technology, Brisbane, Australia. His forthcoming books include Understanding Global Media (Palgrave) and Willing Collaborators: Refashioning Content for the Chinese Media Market (Rowman & Littlefield). Image Credit: CC by Jim Gourley/Flickr.